The $8bn Green Square Town Centre development has welcomed its first residents into its Ebsworth residential apartment building. Ebsworth is situated on Ebsworth Street, the town centre high street. The town centre anchors a broader $13 billion Green Square urban renewal precinct which spans 287ha. The new town centre will deliver much needed retail and community amenity for inner Sydney, as well as jobs and over 30,500 new dwellings. A total of 61,000 people are expected to live in Green Square by 2030. “Green Square Town Centre is a prime example of our organisation’s ambition to transform city living,” said UrbanGrowth NSW Chief Executive Michael Brodie. “Mirvac is extremely proud to be partnering with UrbanGrowth NSW to deliver new homes and a new community for Sydney. With the first residents settling in and our community starting to grow, it’s very rewarding to see the vision for Green Square Town Centre taking shape,” said Mirvac CEO and Managing Director Susan Lloyd-Hurwitz. Ebsworth, with architecture and interiors by Mirvac Design, offers residents exceptional, modern inner-city living, incorporating superior design, and a diverse range of layouts. It is comprised of 174 one, two and three bedroom apartments with construction completed on schedule earlier this year. Buyers include investors, owner occupiers and first home buyers. Ebsworth residents will enjoy access to high quality amenities including a new 2,000m2 Woolworths supermarket on the ground floor of the building opening mid-year, as well as a developing town centre for Green Square including landscaped parks, playing fields, a civic plaza and library, and an aquatic centre to be completed progressively by the City of Sydney. UrbanGrowth NSW is the landowner and constructed Ebsworth Street for the City of Sydney. 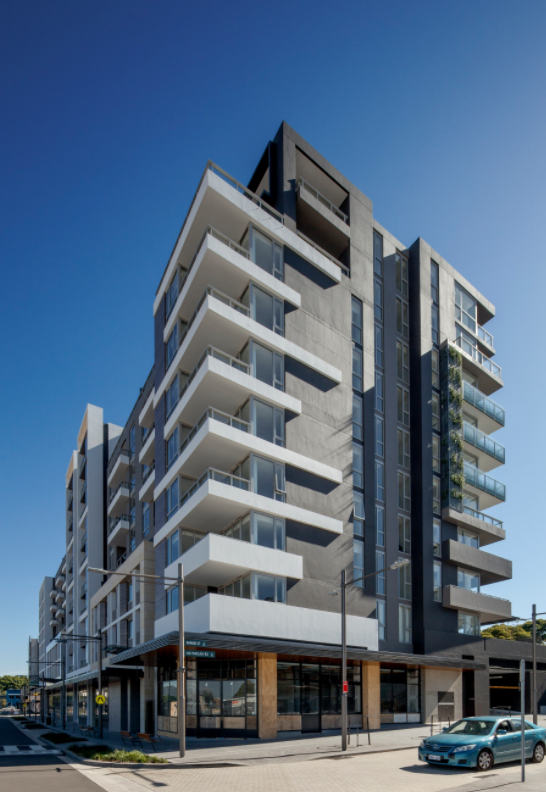 Mirvac is UrbanGrowth NSW’s delivery partner in Green Square Town Centre, delivering Ebsworth, the adjoining Ovo, No. 8 Ebsworth and Ovo Portman Place - estimated to complete construction by 2018, and future residential, retail and commercial stages.